Samsung is all set to release new generation smartphones in the Galaxy A series and one of them is the Samsung Galaxy A3 2017. It’s the low end one among the other smartphones in this series and is comparatively cheap as well. We don’t know much about this phone officially at this moment including the Samsung Galaxy A3 2017 Nigeria price. However, considering the pricing details of the previous Galaxy A3 phones it should be around 98400 ₦ when it’s here. 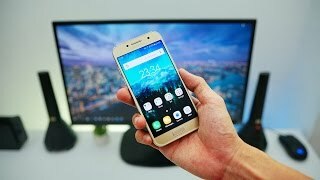 Now let’s see what to expect inside this upcoming phone and the Samsung Galaxy A3 2017 release date Nigeria. There are very little changes to look forward to in the design of the upcoming Galaxy A3 2017 version. The screen size will remain the same, 4.7-inch showing the same 1280 x 720 pixels resolution and 312ppi of pixel density. It will be protected by Corning Gorilla Glass 4 which means there is no change here as well. Considering it’s a budget phone, it should not come as a surprise. For those who are willing to wait for the Samsung Galaxy A3 2017 release date Nigeria, there are four different colors to look out for: black, white, pink and gold. 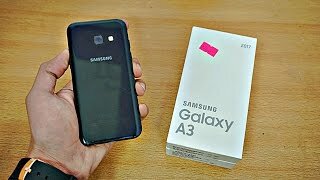 The Samsung Galaxy A3 2016 is already available and will be cheaper compared to the Samsung Galaxy A3 2017 Nigeria price. Megapixel-wise, the rear camera is going to be demoted to a 12-megapixel one which is slightly less than the 13-megapixel one we saw in the 2016 version. 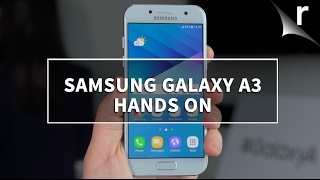 However, the Samsung Galaxy S7 and Samsung Galaxy S7 Edge has already proved that megapixel is not everything. There is a good news for selfie lovers as the front camera is now an 8-megapixel one. The phone will be running Android Marshmallow 6.0.1 out of the box which can be a deal breaker for Android fans as the latest OS Android Nougat is already available in some phones. One of the welcoming changes in the 2017 version is its processor and RAM. The 2016 version included only 1.5GB of RAM which is definitely not good enough as most of the mid-range phones nowadays pack a 2GB of RAM. Users don’t have to worry about this as the upcoming 2017 version will be packing an Exynos 7870 octa-core processor paired with 2GB of RAM. Storage might be a problem for some users as the built-in storage will be limited to 8 or 16GB. It can be expanded to up to 256GB using the microSD card slot. All the necessary connectivity options are there including GPS, NFC (LTE version only), FM Radio, Wi-Fi and Bluetooth v4.1. For heavy users who are after phones with a big battery, there is the Asus Zenfone Max 2016 with 5000mAh battery or Lenovo Vibe P1. These are packing decent specs and costs less than the Samsung Galaxy A3 2017 Nigeria price. 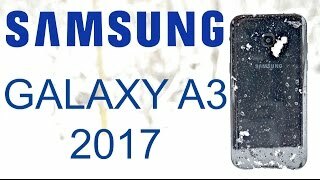 Judging from the release cycle of the Galaxy A series, the Samsung Galaxy A3 2017 should be available sometimes in December, 2016. 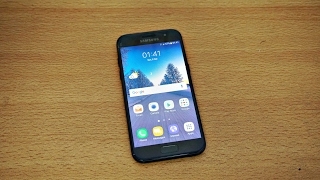 The galaxy a3 2017 Mobile Phone is manufactured by Samsung and was added around November 2016 and is part of the Samsung Galaxy A3 2017 series. 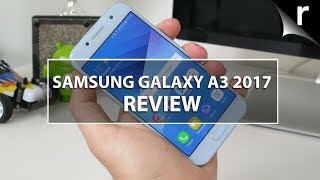 Samsung Galaxy A3 2017 review 4K! Samsung Galaxy A3 2017 Hands-on Review: Mini phone, mega specs?